With so many projects and so little time, it can be hard for startups to figure out a solid social media strategy. Which social media platforms are best for startups? What type of content should they post? What social media mistakes should they avoid making? 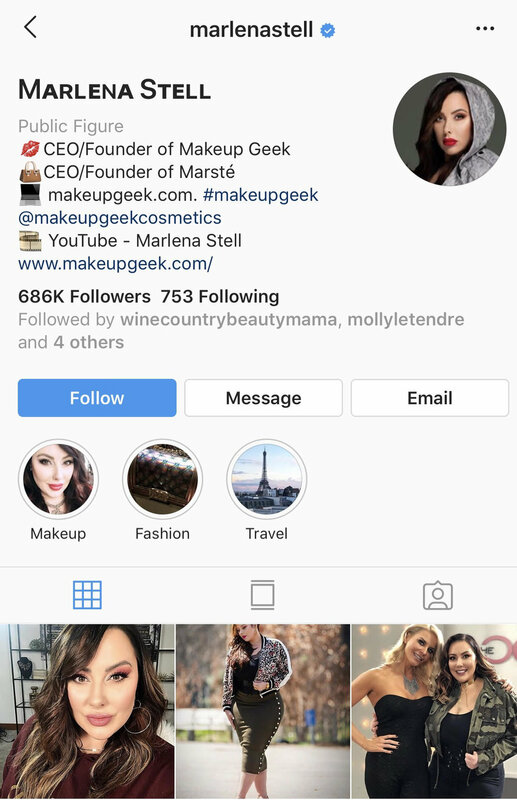 To help startups stress less about their social media marketing, we’ve chatted with social media influencer and entrepreneur, Marlena Stell, to learn more about her top startup social media tips. With millions of followers and multiple successful startup ventures, Marlena clearly knows a thing or two about social media marketing! Marlena Stell, successful entrepreneur began her career in the beauty industry at the age of 28. While a music teacher who immensely loved makeup, she began to show her highly advanced makeup skills via her YouTube channel, Makeup Geek. Her videos were so well received that she became a worldwide influencer that millions began to follow and fall in love with. Marlena took her passion to the next level by quitting her day job and dedicating her time to female entrepreneurship. 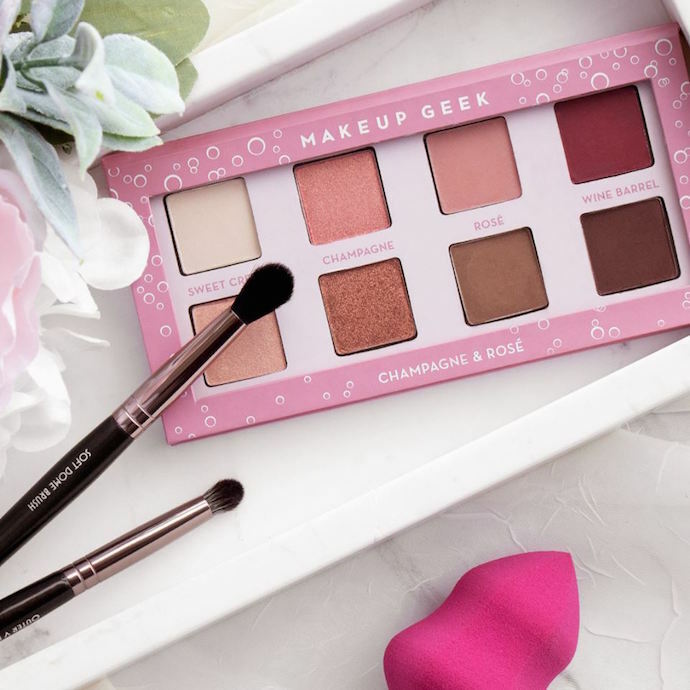 Her first venture, which has proven to be extraordinarily successful, is the creation of the beauty brand – Makeup Geek. Understanding the power and influence of social media as well as developing a solid brand recognition within the beauty market place, Stell was quickly named to the Inc. Top 500 fastest growing companies in 2016. Marlena has developed a love for fashion and recognizes a serious need in the marketplace for a high quality online fashion brand that speaks to women of all sizes, ethnicities, ages and status. Marlena believes that like beauty, fashion delves much deeper than just the garment. Fashion is defined by the style of the individual wearing the garments. It’s literally their expression of themselves and she aims to deliver a brand that will enable each woman to express themselves in the most positive light – Always. 1. So, how did you go from being a social media influencer to an entrepreneur? I always had a passion for makeup and at that time (2009), there weren't many eyeshadows on the market in a wide variety of colors that were high quality yet still affordable. So I spent 2 years researching the manufacturing of makeup, cosmetic ingredients, and how to start a business. After many long trips and rejections from cosmetic labs, I finally found one willing to work with me in creating my first product: single eyeshadow pans! From the launch forward it has been a huge learning process but I love this challenge! 2. How has your social media background helped you’ve become an entrepreneur? Absolutely. Social media thickens your skin for sure and this life lesson has helped me to keep pushing forward through any obstacles I overcome in business. Also having a strong social media following provides you with the opportunity of leveraging your business on your current audience, which is such an amazing bonus of current social media climate! 3. What was the hardest part about launching and growing your businesses, Makeup Geek and Marsté? For Makeup Geek it was definitely getting enough money saved up to launch a product especially with such high risk. As time goes on there's always the struggle of staying ahead of the game with such a saturated market in beauty. With Marsté because fashion was not my background, the hardest part was learning designs and how the overall process works in clothing production vs makeup production. 4. What common mistakes do you see startups making in their social media & influencer marketing? Not engaging enough with their audience. People want to interact with you, the brand, and feel like they are part of this brand's "family". Also, not posting regularly enough across all platforms to reach the widest audience possible. It's a tricky balance between posting often, having the content be high quality, but it not losing it's authentic and "real" feeling. 5. Which social media platform/s would you recommend for startups? If you are just starting, choose the platform to focus most of your energy on. 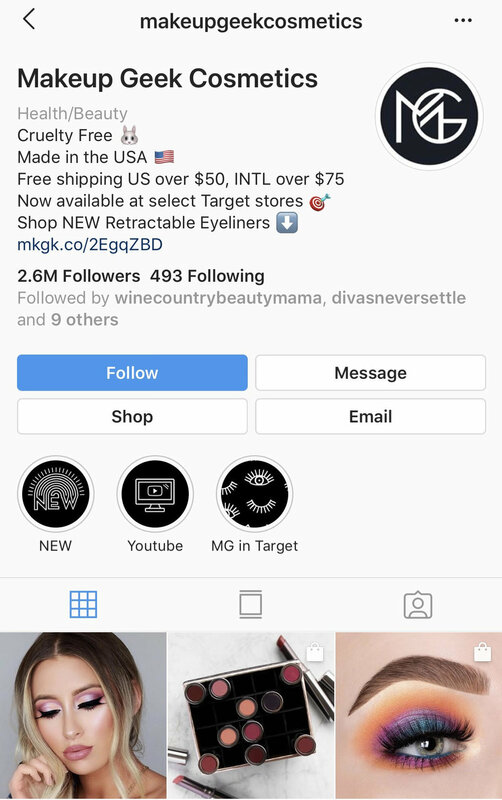 If you're a beauty or fashion brand, Instagram is your best start because it is very visual. If you are an educational type business, then Youtube makes sense as an audience loves to watch educational clips. If you are a very charismatic and youthful brand, then maybe Snapchat or Instagram Stories is the best place to be. Once you find your strongest platform, post high quality content and post daily. 6. How can startups get the most out of each social media platform? For Instagram, the trends change each year so it's important to stay on top of what the audience connects with. Lifestyle pictures did amazing for us in 2017, but moving into 2018 and current, our audience loves realistic and un-produced videos showing eyeshadow swatches or pictures of makeup on a desk. The consistent thing though is to have great lighting and constant content to keep people engaged. For Youtube, the trends also change and the entertainment value is the most important. If your video is informational and highly produced, that's amazing, but how entertained is the audience? If they aren't enjoying watching the video, then they will click out and not subscribe to see more. Posting 1-3 times a week is also crucial to growing your audience as much as you can. Out of all the social media platforms, this is the most intensive work wise, but it can also be the most rewarding. For Twitter, witty comments and posting coupons or sales always win an audience over. Consistency isn't as crucial on this platform, but having a post that provides something to the audience is key. It could also be a quick tip or trick relating to the products that you sell. Facebook has died down quite a bit in the recent years, however it is still a strong platform for the 35+ audience. Live videos always work well since it captures people's attention. Doing polls asking your audience what they want to see from you is great here as well as posting giveaways. Post your content regularly and stick to a schedule. If you are inconsistent with posting, your audience will lose interest. Make sure your content stands out- what makes it different from what everyone else is posting? For example, if most cosmetic companies are posting eye looks, then I should focus on video clips of cosmetic swatches to make my page different. Make sure your content is the highest quality possible. This doesn't mean you need fancy equipment and a team of 20 people to accomplish. Just make sure your lighting is bright and even, that your pictures are crisp and in focus, and that what you are writing in your caption has meaning or just draws your audience in. If your posts aren't being seen or getting traction, you may need to invest in paid posts. It's not ideal but that's how many social media platforms are running now- they want you to "pay to play". Make sure to interact with your audience- comment back to them, like their comments, and keep them engaged! If they take the time to like or comment on your post, then they want to know you're actually reading what they have to say. Thanks Marlena for sharing your top social media marketing tips for startups!